The electrical system in your home is very important. Unfortunately, over the years your wires can begin to fray or break down. If you have ever had a pest problem in your home, you may end up with exposed wires that can lead to a fire or damage to the electrical devices in your home. It was estimated that in 2006 over 10,000 fires were directly related to electrical components such as faulty wiring or appliances that shorted out. As you can see, it is imperative that your electrical components are safe. 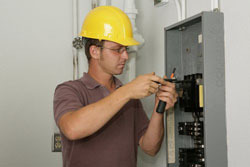 If you feel that your electrical system may be experiencing problems, you should contact King Group, CES. Their certified electrical technicians can inspect your home and inform you of any issues you may have. 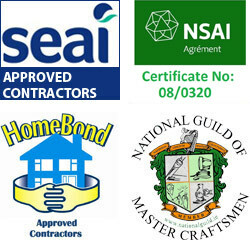 They do a thorough inspection of all your electrical connections and test your circuits for overloads. Once the inspection is complete, you are provided with a written report of any problems and what will be required for repair. At this time, the technician will give you an estimate for any repairs and inform you of how long the repair process will take. King Group, CES’ electrical contractors are at the top of the field. Each electrical technician is personally interviewed and tested to insure they can uphold the standard that King Group, CES has set forth. After providing their customers with over three generations of excellent service, they focus on upholding these continuing standards. King Group, CES is not only concerned with recruiting new accounts, but providing service on a level that makes every customer a repeat customer. You can rest assured that when you choose King Group, CES you will receive the newest materials available. As the electrical industry grows each year, they strive to stay ahead of the game. You can expect every project to be completed with high quality materials that are energy efficient and safe for generations to come. No corners are ever cut. Your electrical system is very serious and they treat it as such. Anyone can run wires through your house, but at King Group, CES, they test every wire and appliance installed to ensure you and your family are safe. Whether you are buying a new home and want to make sure it is safe or you have an existing structure that needs an upgrade, King Group, CES can provide exactly what you need. For further information on Electrical Contractors call King Group CES on 045 838376 or click here to complete our free online enquiry form.